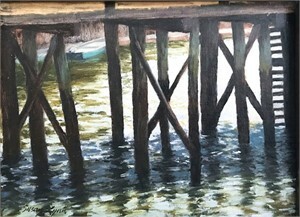 A nationally recognized artist, Susan Lynn's watercolor paintings are frequently described as luminous and serene. Drawn to the natural landscape, Lynn believes it is a subject that speaks to the viewer in a visceral way, tapping into universal memories and emotions, and the human connection to the world around us. A Kansas City native, Lynn received a BFA degree from Kansas State University, and worked for 15 years as an architectural illustrator before transitioning to fine art. Her extensive travels painting and exploring the landscapes of Kansas, Colorado, Wyoming, and Montana have forged a sense of connection to the prairie, and a deep affection for the landscape of the American west that is frequently the focus of her work. 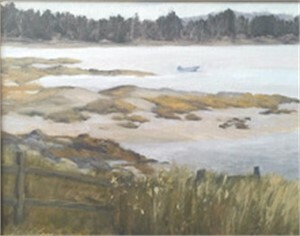 Lynn creates her paintings both in studio and “en plein air”, a term coined by the French Impressionists meaning to paint the landscape from life, “in the open air.” While painting out of doors with watercolor presents a unique set of technical challenges, she believes strongly that it develops a greater sensitivity to the subtleties of light and the energy of the landscape. Susan Lynn A nationally recognized artist, Susan Lynn's watercolor paintings are frequently described as luminous and serene. Drawn to the natural landscape, Lynn believes it is a subject that speaks to the viewer in a visceral way, tapping into universal memories and emotions, and the human connection to the world around us. A Kansas City native, Lynn received a BFA degree from Kansas State University, and worked for 15 years as an architectural illustrator before transitioning to fine art. Her extensive travels painting and exploring the landscapes of Kansas, Colorado, Wyoming, and Montana have forged a sense of connection to the prairie, and a deep affection for the landscape of the American west that is frequently the focus of her work. 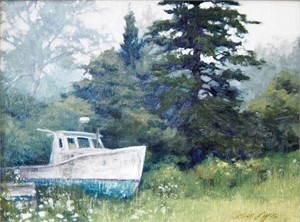 Lynn creates her paintings both in studio and “en plein air”, a term coined by the French Impressionists meaning to paint the landscape from life, “in the open air.” While painting out of doors with watercolor presents a unique set of technical challenges, she believes strongly that it develops a greater sensitivity to the subtleties of light and the energy of the landscape.